It was quiet, spacious, comfortable and clean. The staff was helpful and accommodating. 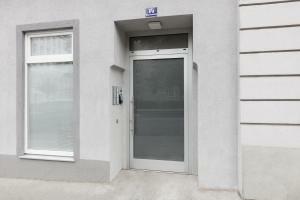 Spacious apartment with new interior and busstation just infront of the house. The staff gave us all information regarding sightseeing, transportation and printed everything we need on paper. the service from the airport was arranged very well and the price was reasonable. The staff. The room size. Lots of restaurants around. The staff was very nice and helpful, we could talk via whatsapp even before our arrival and it was really good way to communicate. The beds were comfortable and all the rooms seemed to be new and well maintained. Good value for money. Easy to get around by public transport. Location is next to bus/metro, 15-20 min to center with transportation. Very clean, well ventilated room, one side of the wall has many windows, bath is bigger than rooms, near the market and resturant. Great staff. I could tell that it was newly renovated unit, so the room was clean and bathroom was nice. And I was put to stay on top floor which has windows on the roof and spacious room for 2 people. Location is not the best, but there are subway stations closeby. Lock in a great price for DMG Apartments Hotel – rated 8.7 by recent guests! DMG Apartments is located in Vienna, 1 mi from Raimund Theater and 1.4 mi from Belvedere Palace. Rooms have a flat-screen TV with cable channels and a private bathroom equipped with a shower. Vienna State Opera is 1.5 mi from DMG Apartments, while Kunsthistorisches Museum is 1.5 mi from the property. 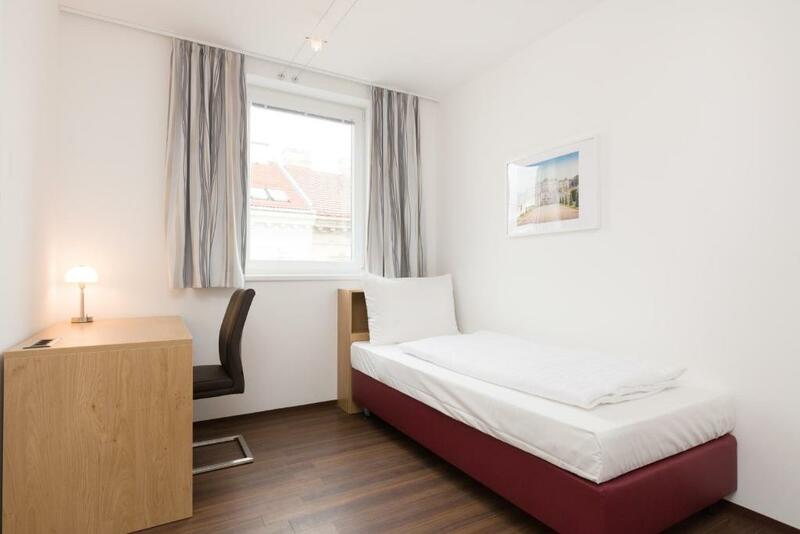 The nearest airport is Vienna International Airport, 11 mi from DMG Apartments. When would you like to stay at DMG Apartments Hotel? This single room has a cable TV, electric kettle and tile/marble floor. 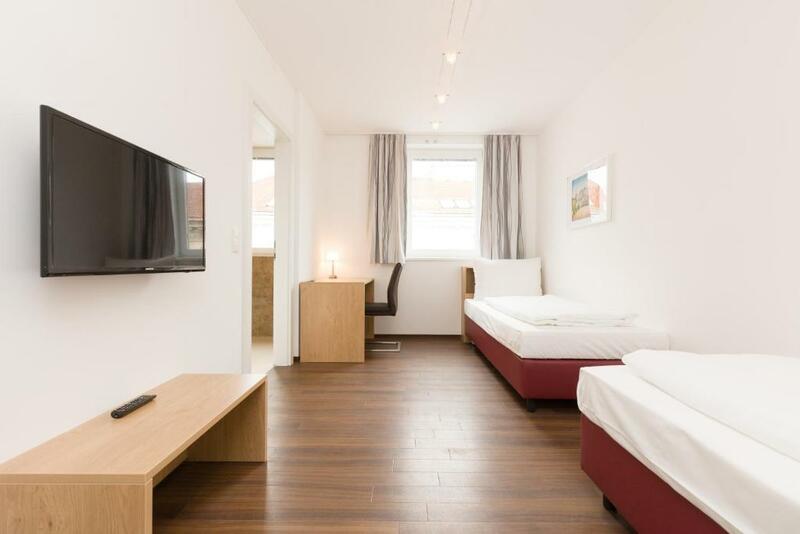 This single room has a double bed and a cable TV. This air-conditioned single room has cable TV. This air-conditioned single room comes with a double bed and cable TV. 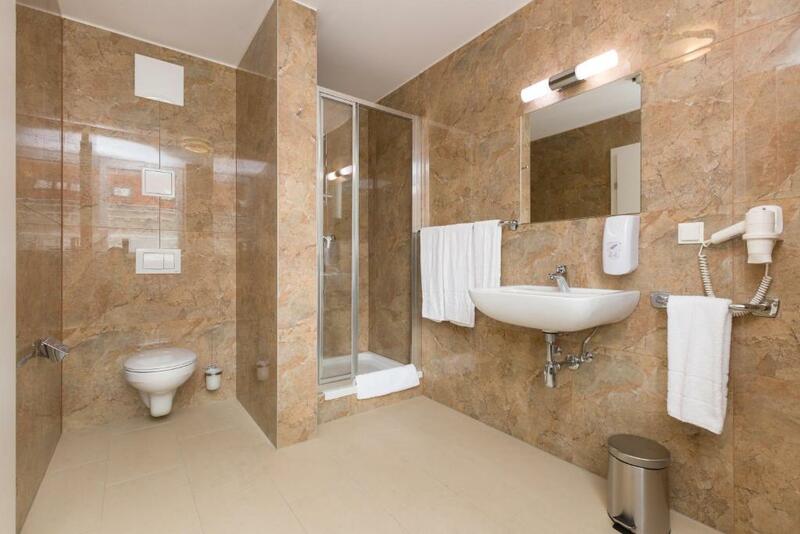 This double room features a tile/marble floor, view and soundproofing. DMG Apartments Hotel is a new apartment-hotel located in Vienna's 5th district (Margareten). We have incredibly spacious rooms which are furnished and designed to provide the best of comfort for our guests. From your first step in the lobby you will immediately sense the relaxing atmosphere. The rooms are located on the 4th and 5th floor which provides great view and even better fresh air! Whether you travel alone on business or with your partner- in DMG Rooms you can find your quiet spot in the 5th district of Vienna. All rooms are brand new! 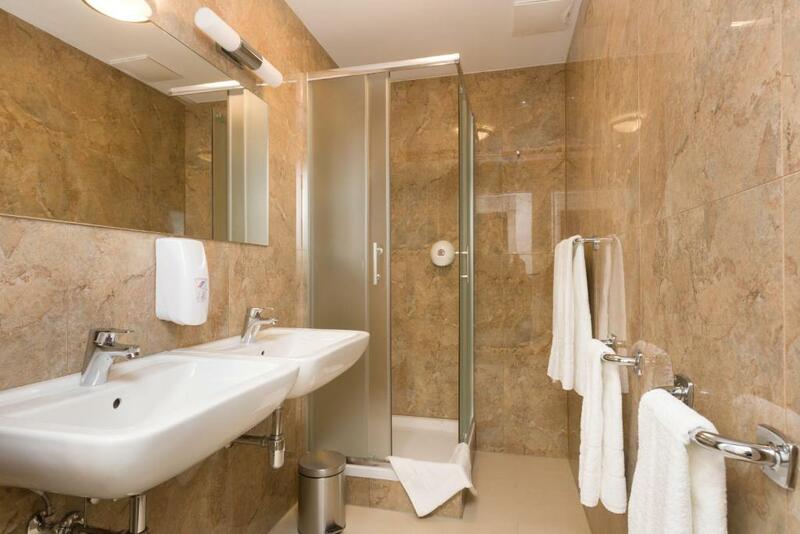 In each room there is a bathroom and toilet, free Wifi, flat TV screen & hairdryer. Babybed/chair available upon request. Our staff is always available to assist you with information and to find the best attractions in Vienna. 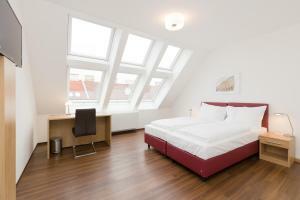 The shopping street Mariahilferstraße and the beautiful local Naschmarkt are only 10 minunt´s away. The city center can easily be reached by public transportation (12A, 14A, U4) and Wien Hauptbahnhof (train station) is only 15 minutes from the hotel. However, we do not have any parking spots. We look forward to welcoming you! Our staff is always here to assist our guests with whatever the issue may be. We are kind, friendly and enthusiastic. We very much look forward to welcome you in the hotel! Margareten is in the southwest of Vienna and is bounded to the north by the Vienna River, in the west and south by the Gürtel belt. The Vienna River is also the border to the district Mariahilf, while the belt is the boundary of the districts Favoriten and Meidling. The eastern district boundary with Wieden runs contrary to the other inner districts in the transverse rather than longitudinal. 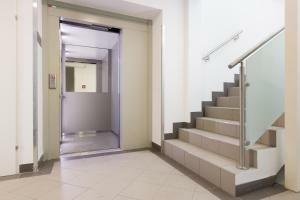 House Rules DMG Apartments Hotel takes special requests – add in the next step! DMG Apartments Hotel accepts these cards and reserves the right to temporarily hold an amount prior to arrival. Please note that there is no staff at the property after 18:00. The property needs to be informed in advance if you arrive after 18:00 to provide check-in instructions. Please note that there is no final cleaning fee for 1 night reservations. Please inform DMG Apartments Hotel of your expected arrival time in advance. You can use the Special Requests box when booking, or contact the property directly using the contact details in your confirmation. First, there was no kitchenette in the room and the shared kitchen in the lobby closed before 5pm. It opens at 9am when the front desk opens (If my memory serves right), and I couldn't use it at all as I had to leave early. And they will CHARGE you for cleaning your room. We stayed 3 nights and no one asked if we needed anything or if we wanted our rooms cleaned. There was a paper on the desk saying that we had to pay for additional cleaning, and clean towels or bed sheets. On top of that, we were not able to contatct with the hotel agents or building owners whatever. We tried to call the front desk because the heater was not working, but the phone was disconnected and we had to sleep in the freezing cold. I am not sure if it's a family business, but the hotel only uses 2 or 3 floors of the building and rest of the floors & the building itself are pretty old. The photos are pretty accurate, but if you are thinking to book this property, please keep these in mind. I especially liked the key safe feature for self checkin. The hot water ran out pretty quickly, but I’m sure that could easily be adjusted. No reception early in morning or late at night. Very clean,quiet,comfortable stay.fridge and kettle are an added bonus. We are runing out of hot water very fast. Modern, comfortable, friendly and helpful staff.